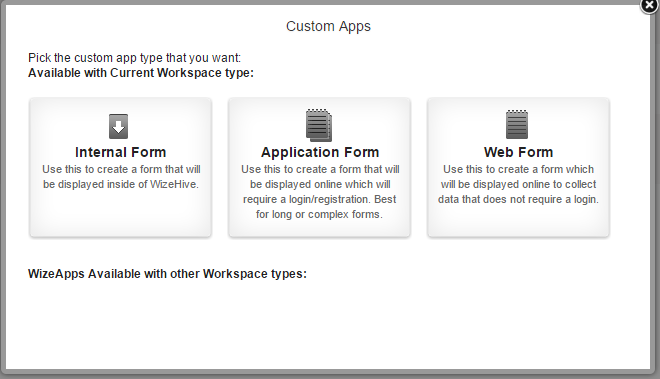 A Webform is a type of custom form that you can create for your Workspace. Webforms allow applicants, entrants, or users to make a form entry without logging in or without the need to save a draft. Who can view a Web Form? A Webform lets you create a form that can be linked to your web site – or embedded into your web site inside of an iframe. 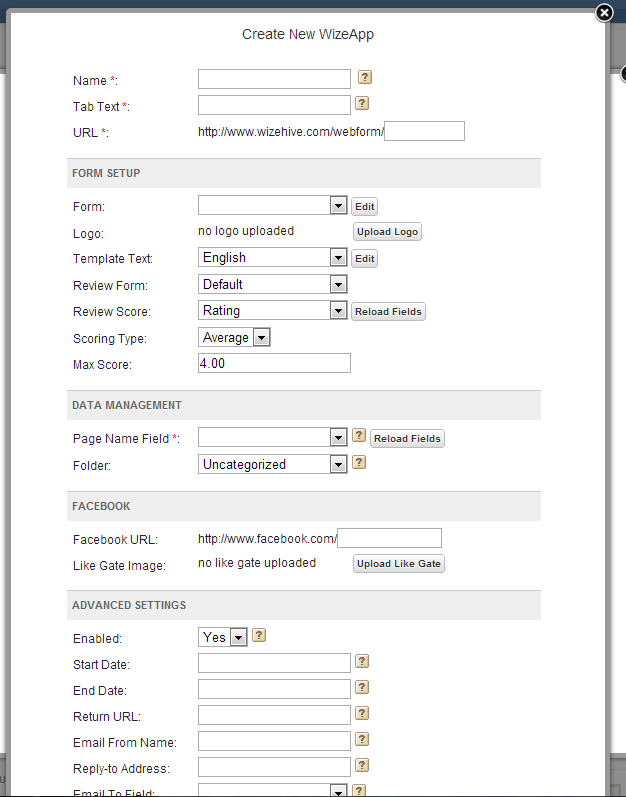 Webforms are typically used for gathering data for things like intake for contests. The Webform differs from an Application Form, which requires an entrant to log in and define a password in order to access the form. 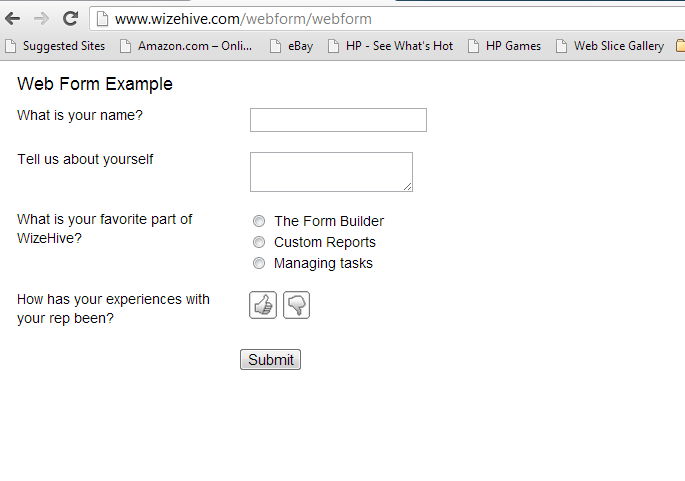 Instead, a Webform allows the user to submit a form without any login information. *WizeWords: You can still collect email information from the applicant – but instead of being part of the login, you make their email address a required field on the form. This provides a bit more flexibility in that you can allow someone to enter a contest or application process as often as they want – or you can use the email field on the form to limit entries by making that field require a unique value (from everyone else). A URL will be defined for the Webform you are building. When the user links or enters that URL, they will be brought to the given Web Form. All required fields must be completed to submit a form. Required fields will be denoted with a red asterisk next to the form name. By design, an applicant or user can enter as many Webform entries as they desire, there is no limit. 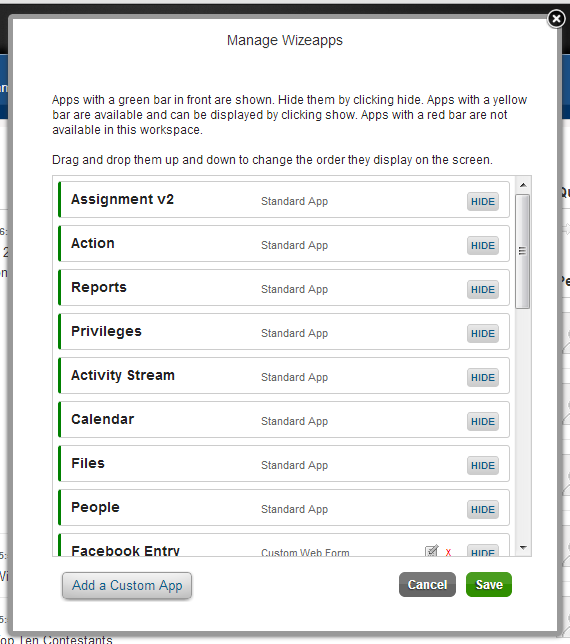 Click on Manage Tabs in the upper right of your Workspace. You will be brought to the screen seen below. From this screen, click on the Add a Custom App button. After clicking Web Form, you will be brought to this page. You will then be prompted to complete the properties of the Webform. Please refer to the Layout Settings for Forms article for a step-by-step guide on what each field of Form Settings means and how they can be utilized to customize your webform. Who can view a Webform? Anyone who is a person in the Workspace and has been assigned privileges to review records in one or more folders in the Workspace can view those forms.